A blind man is alone on a deserted island. He has two blue pills and two red pills. 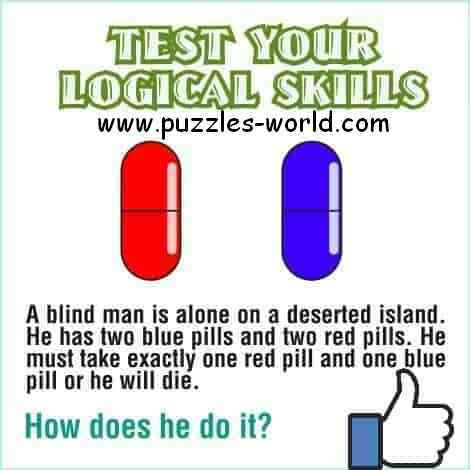 The Blind man will take half of all 4 pills. So he gets the required 1 red and 1 blue pill.